Basics on Paying Immigration Fees With Credit - Experienced Law Firm Utah | Buhler Thomas Law, P.C. For some people who are filing various immigration forms, paying the fees associated with these forms can be a bit of a hassle. But did you realize that, in many cases, you can pay filing fees and other fees using a credit card? At the offices of Buhler Thomas Law, P.C., our immigration law services cover basics like this. Let’s go over all the basics you need to know of paying fees using a credit card. The USCIS allows you to pay any fees at no additional cost whatsoever using a credit card. They generally accept Visa, MasterCard, American Express and Discover, and there may be others that are accepted also. One caveat here: Make 100 percent sure that you have enough credit or funds available on the card before you attempt this payment, as a card being declined will result in an automatic rejection from USCIS. USCIS will accept credit payments for about 40 of their various forms. 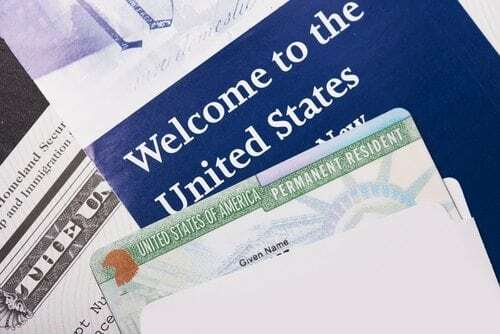 Common forms accepted include Form I-130, Petition for Alien Relative; Form I-485, Application to Register Permanent Residence or Adjust Stats; or Form N-400, Application for Naturalization. If you submit a single credit card authorization for multiple requests, your application will be rejected. In addition, it will be rejected if you attempt to submit a check and Form G-1450 to split the payment for the same application. The application will also be rejected if you send checks, form G-1450 and money orders for multiple requests. For more on using credit for immigration fees, or for any of the other immigration lawyer services we offer, speak to the pros at Buhler Thomas Law, P.C..